Creating California's Premiere Viking Festival and Norse Heritage event takes hundreds of volunteers and thousands of work hours. The Vista Viking Festival is looking for volunteers to help run the show. We bring the spirit of the Old Norse Ting alive each September, at Norway Hall. IF you are asking yourself "Where can I do to help?" There are many positions available for a variety of skills and abilities. Please respond below, and we will work to find the best fit for you. For those hoping to join the Festival Family, Volunteering is a great way to introduce yourself. You may just find yourself welcomed into the fold. “Ting “, is the Old Norse name for the governing assembly all free people. They would gather in their communities to make law and to decide cases. But a Ting was not all politics. A Ting was often a multi-day festival. There were musicians, and entertainers. Merchants set up booths for their wares, Brew masters brought barrels of ale and mead. There is a a lot of work to be done. But it is all great fun. Many Volunteers return year after year. There is excitement, fellowship, and a fun experience like no other. Great adventure, and good times, and excellent people. One never know what may happen at Ting. During a Ting, marriages were arranged, alliances were crafted, news and gossip exchanged and friendships forged and nurtured. Volunteer to Join our Vista Viking Festival crew today! Encourage your Friends to join our crew. 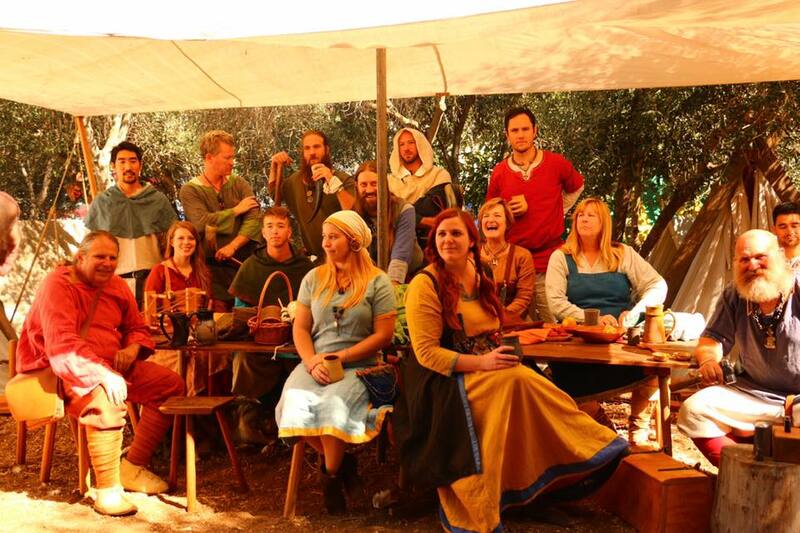 It takes many hands to create California's Premiere Viking Festival. We need volunteers to make it happen. Join the Viking Crew. There are volunteer opportunities, Bar/Food , Genealogy Booth, Grounds, and Facilities, Hospitality Booth, KidZone, Parking, and Security. We are also looking for Reenactors, and Cos-players to swell the ranks Viking Horde for public appearances. Maybe you are just curious to know more about the Vista Viking Festival. Shifts are generally 2-4 hours long and volunteers get free entrance and parking. *The producers of the festival share a commitment to preserve and promote Norwegian, and Norwegian-American cultural and heritage. To conserve and celebrate our Norse history and heritage with living history and cultural activities. To support and contribute to our community. To bring a truly unique cultural and entertainment festival experience to Vista, California. The Vista Viking Festival is our biggest fundraiser of the year. Help us to make 2018 a most excellent year.